Landscaping Upgrades and Plumbing Thoughts | Robins Plumbing, Inc.
Are you getting ready to do some landscaping upgrades? A few words of caution before you start digging. In Phoenix, roots are often the culprit of stoppages. 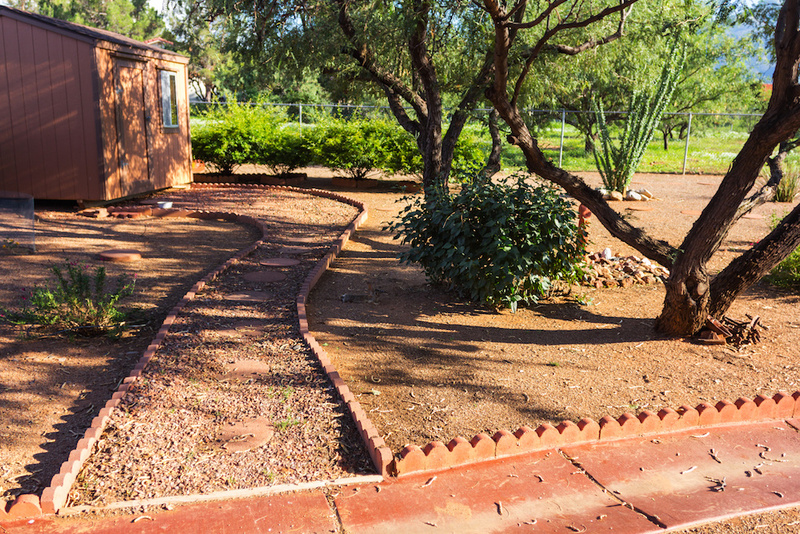 In the Phoenix area we are taught to plant drought tolerant landscaping so that we use less water. This is of course a fabulous idea, and very responsible with our resources here in the beautiful desert. These plants come with one setback – they are genius at finding water sources! Our desert landscapes will seek out and locate even the smallest amount of water. If you have even the smallest crack in your sewer line, those roots will penetrate the line and infest your sewer with roots. Many trees have such powerful root systems that they will literally crush the sewer line in order to access the water source. Are roots a problem? The fast answer is yes they’re a problem. The size of the problem often depends on the size of the roots but either way it means your sewer pipe is broken, this can also lead to a seal being compromised. Right now you might be thinking I know what a broken pipe is, but what do you mean about a seal? Roots will grow as long as they want, they will follow the pipe uphill, grow up through the gap between the concrete and your sewer line underneath your toilet. At that point it will reach the wax seal underneath your toilet. This seal is what keeps water and sewer gas from coming out from between your toilet and your floor. It is what joins your toilet to your sewer line, and these roots will find that, go right through it and build a mass of fine roots that can confuse and perplex even a seasoned professional. Having a stoppage below your toilet seal where the roots are in your sewer line will often lead homeowners to plunge there stopped up toilet to the point of ruining what seal is left. Some advice from your local plumbing professional in Phoenix – get to know your plumbing before you plant. You can schedule to have your sewer line located so you can plan your landscaping accordingly and avoid costly repairs in the future. This knowledge will empower you to make better decisions with regard to your landscaping and allow you to enjoy the beauty for years to come. We also recommend speaking to a landscaping professional that is very knowledgeable in the plant choices for Phoenix. Letting the professional know what your goals are and where your plumbing system runs will help them to choose the right trees and plants for you. That professional should know the characteristics of the root system and guide you in the right direction. A company that we have had great results from is Dig it a boutique nursery in Phoenix, we recommend giving them a call. 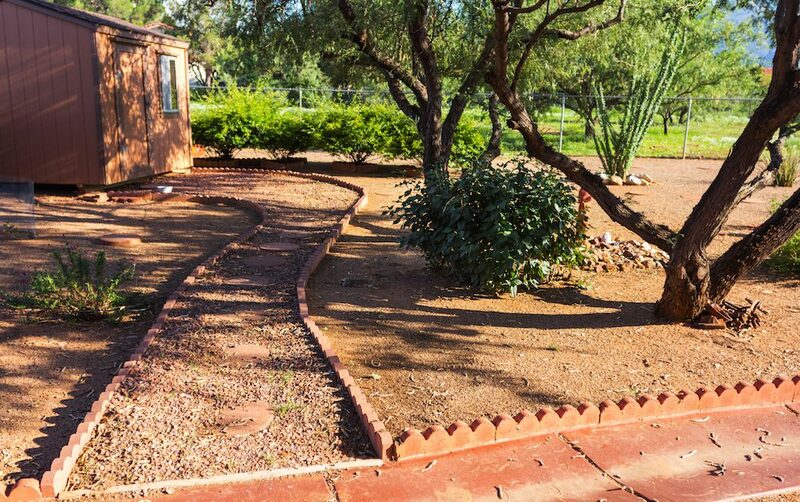 Very knowledgeable, friendly and not only do they have an extensive inventory of Phoenix friendly plants they also have a background in landscaping design. At Robins Plumbing, we’re proud to be a leading provider of sewer camera inspection and locating across the Phoenix area. Whether you’re thinking about installing a new pool or you’re buying a home and are curious about the sewer lines beneath it, a sewer camera inspection can come in handy when it comes to determining any blockages or issues. We also offer a plethora of plumbing services for residential and commercial clients across Phoenix, Glendale, Scottsdale, and Chandler as well. From drain cleaning to water heater repair and replacement and faucet repair and replacement, we can handle all of your plumbing needs.